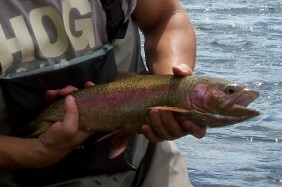 fly fishing and camping trip! 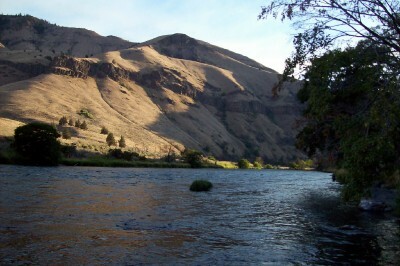 Picture this....It's morning and you're gathered with friends at the put-in on the Deschutes. Roughly 30 miles and 3 days of river lay ahead. 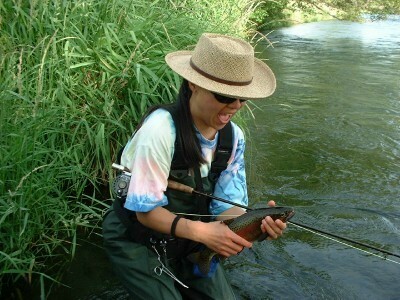 The excitement builds as you rig your fly rods and put on your waders. At the river's edge, your guides and crew are securing their loads of camp gear, food and supplies, and finalizing the day's itinerary. After a full morning of fishing fantastic fly water, you pull into a shady spot for lunch and a bit of R&R. Then, into the boats again to continue down the Deschutes. After a full day of fly fishing on the Deschutes River, your guide navigates his driftboat and pulls into a comfortably set camp. 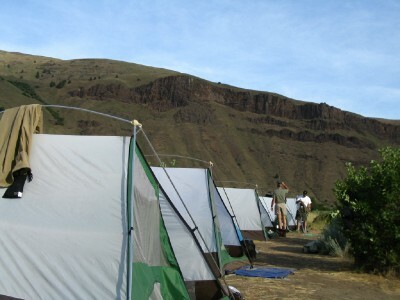 Our friendly camp staff directs you to your tent and personal gear, while the camp cook sets out the hors d'oeuvres. Enjoy a cocktail if you please, and take in the breath-taking scenery. Boast about the day's fishing with friends while your guides and staff prepare a delicious river side feast...then, you can fish until dark if you choose or just kick back and relax! Night time in the Deschutes River canyon offers some of the finest star gazing opportunities you'll find! No city lights, nothing to disturb the night sky...panoramic views...in a word "awesome". 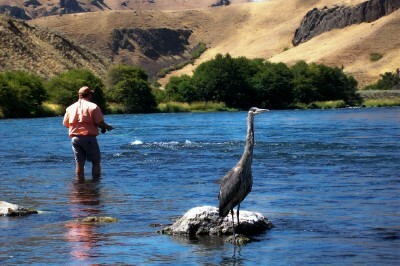 Contact us today to plan your trip on the Deschutes...we'll do all the work...you enjoy a very special Deschutes River Fly Fishing experience!